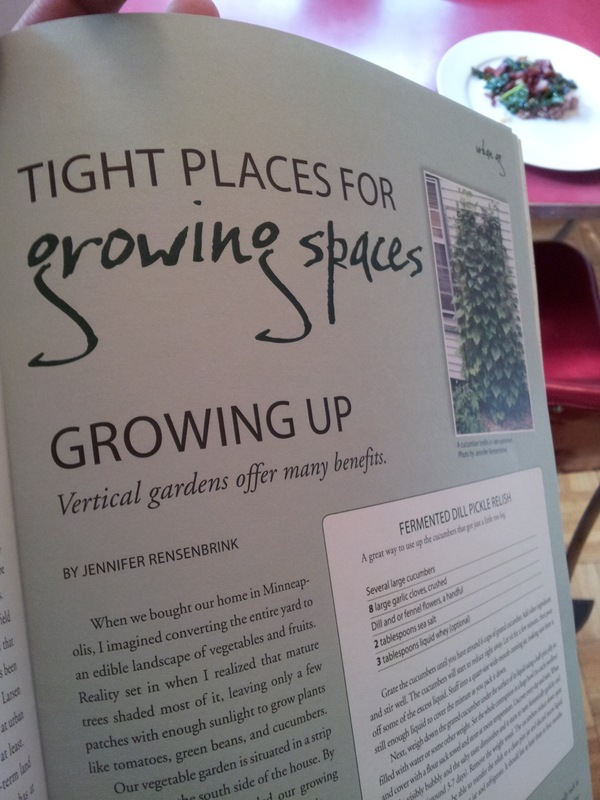 My article “Growing Up: Vertical gardens offer many benefits,” along with several photographs and a bonus recipe, is available in the current issue of Edible Twin Cities. So exciting to see my name in print! This magazine is available at most Twin Cities Co-ops and other places where Minnesota food and drink enthusiasts gather. Please note: Edible Twin Cities ceased publication in 2014. Sad.